Frances Hodgson Burnett, (1849-1924) immigrated to the U.S. from Manchester, England, and moved to Tennessee as a young woman. After Burnett's father died, she helped her family by earning money through her writing. Many of her stories had rags-to-riches themes, which reflected her poverty-stricken circumstances. 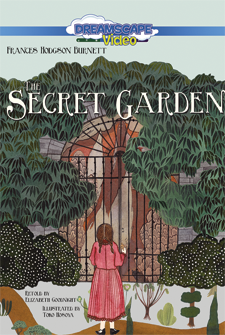 Burnett wrote over forty books for children and adults, The Secret Garden being her most popular work.